Perhaps the most peculiar thing upon meeting multi-instrumentalist and remix maven Daktyl is the ambiguous edge at which he stands as a musician who’s released records on bass-booming label Mad Decent, opened for such celebrated acts as ODESZA, Bonobo, and Giraffage, rubbed shoulders with Diplo, and produced remixes for powerhouse artists like Major Lazer and Halsey, and the quietly reserved yet highly perceptive artist that sits at the helm of that very same periphery. 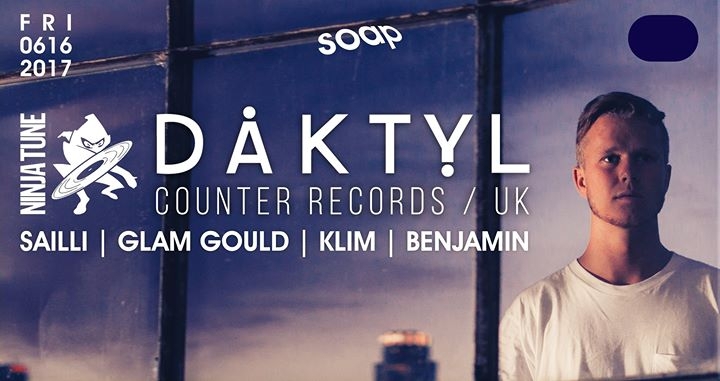 It’s with this subdued insight that Daktyl has leapt into a new musical direction – one that sees him making a departure from the bass-heavy, jungle-driven tracks with which he’s cut his teeth, in exchange for a delicately subtle and organic sound characterized by equal parts simplicity and thorough exploration. Not unlike other young artists, Daktyl began making beats as a teenager in the bedroom of his university dorm room and started casually posting them to Soundcloud where-- much to his initial surprise-- they quickly gained traction and garnered the attention of Mad Decent who promptly signed him to the label while he was still a sophomore in college. Struck with the realization that his music had the capacity to exceed the confines of his dormitory, he bought a ticket to the U.S. in the summer of 2014, rented a car, and booked his own tour across California. His enthusiasm soon captivated an even larger audience, and later that year he was invited to open for Slow Magic on their North American tour. In 2015 he was asked to join them again on their run with Giraffage, two experiences that strengthened his passion for travel – a subject which has become a guiding influence in most of his music.